RC4WD Bully 2.2 Competition Crawling Tires « Big Squid RC – RC Car and Truck News, Reviews, Videos, and More! If you are into all out rock crawling competitions, take a look at the new tires from RC4WD. 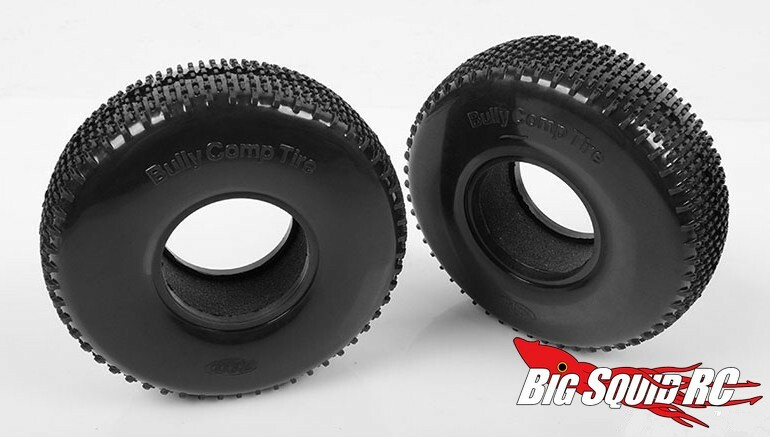 Their new Bully 2.2″ tires were developed for competition use by the RC4WD rock crawling team to put you on top of the box. They come with foam inserts, they are molded in RC4WD’s X2SS rubber compound, and their tread was designed to give you maximum traction on multiple different terrains. The tires are $25 per pair, they have a part number of #Z-T0134, and they are shipping right now. For complete details hit up This Link over on the official RC4WD website.